Home>Blog>Artificial Intelligence>Is Artificial Intelligence the Future of Cyber-Security? Is Artificial Intelligence the Future of Cyber-Security? Cyber-attack is one of the biggest threats to businesses, governments, and institutions today. More than 200 million personal records were exposed in data breaches in 2016; including high-profile breaches at the Department of Homeland Security and the Federal Bureau of Investigation (FBI). 99 percent of exploited vulnerabilities are already known. Unfortunately, we tend to rely on firewalls as a defence. But firewalls will not stop a determined hacker. For now, it’s just humans who try to anticipate what the other human might do before they do it. When we say Artificial Intelligence, your mind probably goes right to the Terminator movies and SkyNet. When I first saw that movie I ruined a good pair of pants and spent the next few months in adult diapers while I waited for the flashbacks to stop. So you can probably imagine how many Tide pods it took to rectify my reaction when I saw AI and Machine Learning (ML) in the news recently. When it comes to Artificial Intelligence and Machine Learning, no industry is left impacted, including the cybersecurity. There are series of cybersecurity companies- start-ups and established started producing AI integrated products helping to secure data from third-party clients. 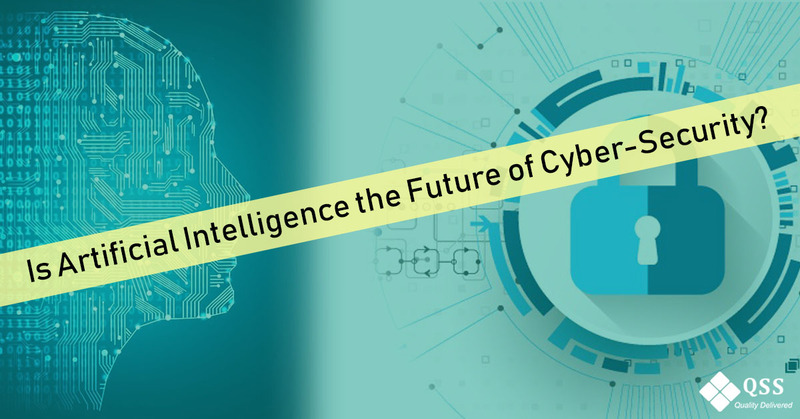 From AI mobile app development to Blockchain Development, everything requires the cybersecurity roof and AI is playing a major role. It’s possible security teams may not need special assistance to find small anomalies. But detecting and addressing advanced, complex hacks and security issues is an uphill battle. In order to stop complex attacks, thousands of pieces of ever-changing data and anomalies need to be quickly analyzed in order to find potential incidents. This is a more scalable approach to stopping big attacks before they ever reach your business. What machine learning and AI are actually delivering is an arsenal of knowledge and a blueprint for their human operators to work from. According to TechCrunch, using technology like machine learning and AI in cybersecurity allows operators to reverse engineer attacks and make improvements to their systems. This process keeps operators from simply working in reactive mode to every incident, and instead lets them figure out how to address and prevent them from happening again. A well designed AI defense system can go through years of attack logs to analyze and learn different attack methods and strategies. It can then form a baseline on normal user behavior, and analyze future behavior to mitigate anomalies. It can also do so much faster than the experts. This can save a ton of money and manual labor that security professionals pour into dealing with hundreds of cyber-attacks every day. In addition to detecting threats and attacks, AI systems can also be used to improve defense strategies and security policies. Hence, the value of AI in cybersecurity is beyond doubt. Cyber security is often at least one step behind the perpetrators, though often much more behind. In addition, scarcity of cyber security professionals has compounded this issue and has created a security vacuum. However, AI can help in alleviating the skills gap currently present in the market, and to that end it is likely to limit the number of malware strains that lay dormant before either being detected or exploiting vulnerable systems. In the future, AI could be a cybersecurity game-changer, and CISOs should be open to this possibility. In the meantime, don’t expect many organizations to throw the cybersecurity baby out with the AI bath water. There is no doubt that artificial intelligence is limitless and smart and faster than human, but it requires human touch to get going. As the online industry is adopting complete online transparency, the threat of malicious cyber-attack is unstoppable. So businesses need to focus largely on hiring and training AI experts who can work with the machine for product safety. Combining of the human mind and AI will certainly help in fighting against the hackers.